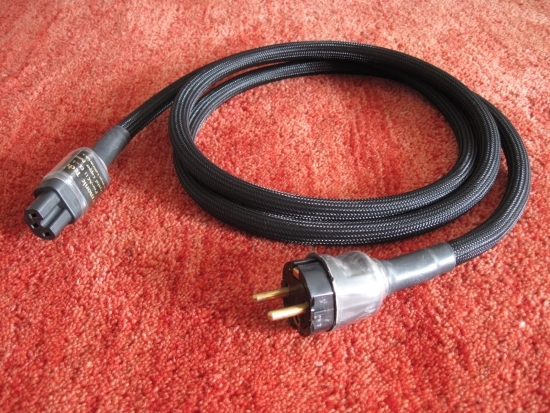 Harmonic Technology’s entry level ACII powercord has seen many guises. Read below for how they compare. Over the years I have accumulated 4 different versions of this cable. With the exception of the original versions, they were all purchased new. 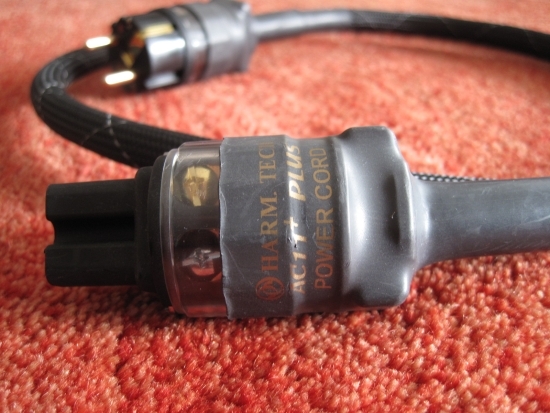 It’s interesting yet mildly confusing to own Harmonic Tech cables of the same type that all have different connector combinations. 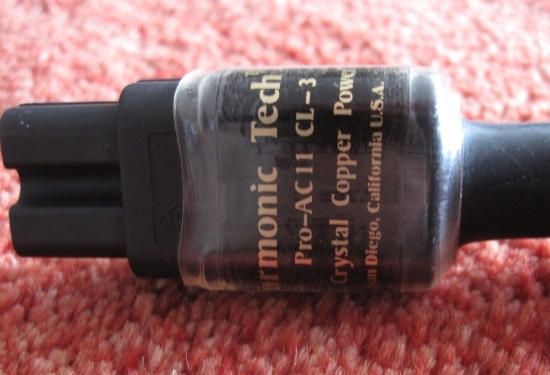 The original “mono crystal copper” powercable was labelled Pro ACII CL3. It has entirely black sleeving (no white stripes). 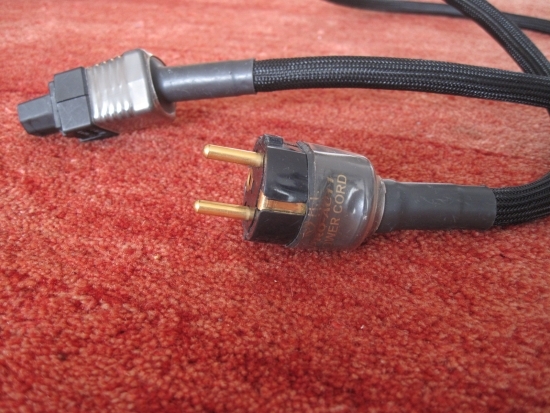 The Dutch version had a Hifi-Tuning gold plated schuko and a simple IEC connector. The one pictured here has a Schurter 7481 IEC connector but another version that I owned years ago had a different brand IEC. The original sounds smooth, luxuriously rich, refined and very fluid. There’s no sharp edges or agression anywhere. Interestinly it offers pretty good low level resolution and focus but in spite of the resolving power, it always seems that there is a slight haze over everything. Dynamics, pace and transient sharpness are severy reduced compared to most other cables, making the Pro ACII CL3 very system dependent. It can work very well, but it can also strangle the life out of music. In my earlier system it did just that, so I sold it again. Years later in posession of a very different system I bought it again for the sake of a repeat comparison. The result this time alas is the same. 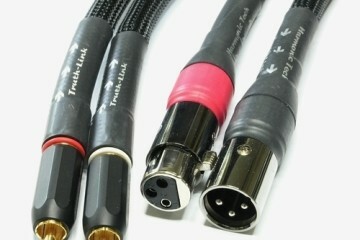 The next Harmonic Technology Pro ACII cable that I obtained was purchased new. 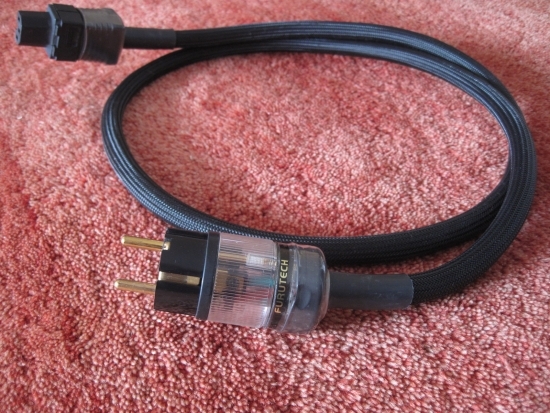 It also has black sleeving without white stripes, and has a Hifi Tuning Gold plated Schuko and Furutech FI-15 Gold IEC, as in the image above. This version of the cable sounds much more upbeat than the original yet retains absolutely all of the original’s smoothness. This is my favorite version when I’m looking for ultimate creamyness to mellow out a harsh or overly clean sounding component, without totally killing dynamics and speed. 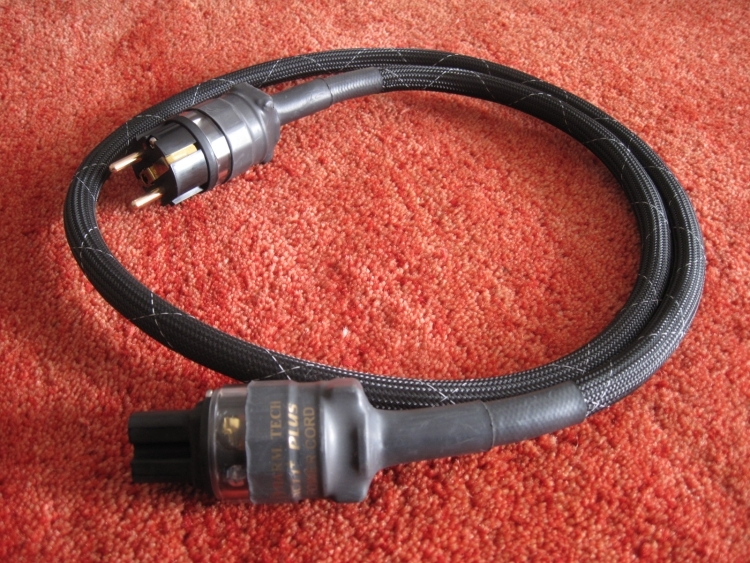 The next HT cable that I bought new some years later also has the same black sleeving without white stripes but this time has a Furutech FI-E35 Gold schuko and a Furutech FI-15 IEC Gold. This version’s sound shares family resemblance with the original version but is also very different. Same is the treble air and fluidity, midrange richness and overall warmth, but the overall sound is a little less fluid (but still very fluid in an absolute sense) and now accompanied by much better pace, drive, dynamics and transient sharpness. The sound is tighter and more articulate than the earlier version and can be said to sound cleaner (if you think the older versions sound too muddy) or duller (if you like creamy smoothness). What’s clear is that the addition of the FI-E35 adds some excitement to the cable, along with better transient sharpness. While still not the most dynamic cable around, it is now much more universally applicable and in this guise represents one of my favorite cables for generic use. The next two cables that I bought new lost their “Pro” nomenclature but got added a “+”. 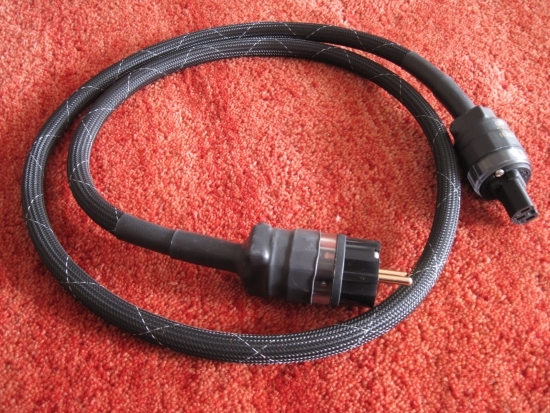 Now simply called ACII+, this time the cable has black sleeving with white stripes. Connectors this time are a Furutech FI-11 Gold IEC and FI-E11 Gold schuko. This version retains the line’s basic character but sounds even more controlled than the previous models, but although transients sound fast, the dynamic swing seems to be more limited than with the previous two versions, but not as much as with the initial version. In summary it can be said to have least of the original’s signature creamy sound, although in an absolute sense it is still a highly musical cable with an excellent mix of fluidity, smoothness, focus and articulation. It’s just not my favourite in the lineup. 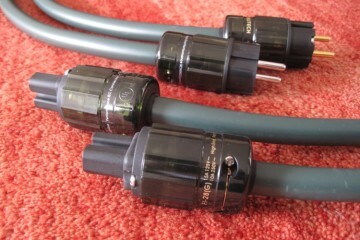 I am fairly sure that the cable itself is consistently the same at least for the models following the initial model, and that only the connectors have changed. This would correlate with my personal experiences that I have with all these connectors. The FI11’s in particular did not really take my fancy. Even though the latest ACII + incarnation can be said to sound most precise, I think I prefer the previous Pro ACII incarnation that has the nicely smooth sounding FI15 gold combined with the articulate and precise FI-E35 gold, which provides an overall more subtle and refined sound. AC + made before or after company was sold? I was not aware that the company was sold. In any event, I purchased all of the cables in the same 2-year period a long time ago, so I would presume prior to the change of ownership.